This flow chart will help you understand the closing process. In the purchase of a home, land or investment property, the parties should enter into an Earnest Money Contract. The Contract will detail the agreement between the parties and determine the guidelines for the closing of the transaction. The Earnest Money Contract also gives instructions to the title company as to who pays for what fees and any reservations or special instructions to be contained in the legal documents. The Contract gives specific instructions on the type of transaction, and if a new survey is to be done. The Earnest Money Contract is the agreement between parties to sell property and it survives the closing as a legal and binding document. Once prepared, the original Earnest Money Contract should be delivered to the title company with the earnest money deposit to be receipted. The title company will then open title, do a title search, and order tax certificates on the subject property.After the title search is completed, it is examined by the examiner and a Commitment of Title Insurance is prepared. A copy is mailed to all parties involved, including the Real Estate Broker or Agent, the Lender, the Buyer(s) and Seller(s) if applicable for review. *Note: If there is no Earnest Money Contract or this is a Refinance or New Construction, the same process applies once the order is placed with the Title Company. After the Commitment for Title Insurance has been reviewed by all parties, and all title matters listed on schedule “C” of the commitment are resolved, a closing is scheduled by the Real Estate Broker, Agent or Lender. A Buyer or Seller of a transaction usually schedules the closing when a Real Estate Broker, Agent or Lender is not involved. The closing is scheduled when it is most convenient for all parties, so that all may attend. It is best for all parties be present at the closing, however, in some instances exceptions may be made. The closing should not be set until payoff figures are obtained, the new survey is done and reviewed by title company, and instructions and documents are sent to title company from the Lender. 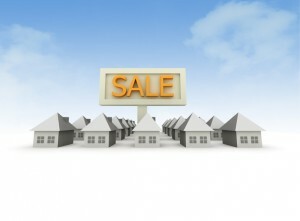 There may also be title matters to resolve prior to closing a transaction. Once a closing date is scheduled, the amount of money for the Buyer(s) or Borrower(s) to bring to closing should be obtained from the Title Company. The transaction is closed by a experienced closer and documents are reviewed and signed at this time. A Photo ID must be brought to closing by the Buyer(s) and Seller(s), or Borrower(s) to verify the identity of who is signing the legal documents. Also, the Seller(s) will be required to provide a Social Security Number at closing. There may be other items such as proof of insurance, needed at closing when a Lender is involved. Certified funds MUST be brought to closing, made payable to Guaranty Title Company Escrow Account. *Note: Certified funds are listed as cashier’s checks, cash or wire transfers, certified checks, or teller’s checks. A title Company cannot accept personal checks or credit union checks that do not have “Cashier’s Check” printed on check over $1,500.00. At the closing, all documents are signed and notarized, and copies are given to the parties involved. If a lender does not attend closing, copies of documents are faxed to them to obtain a funding number. Once all funds are received, and a funding number is obtained if needed, an Escrow Officer disburses the funds and the legal documents are recorded. At this time, the sale is completed. The final Title Policy will be mailed to the Buyer(s) or Borrower(s) and Lender if applicable, within 45 days.